There will be 6 Rounds of group match play, 4 (sometimes 3) player groups. In a 4 player group, qualifying points are given based on the final scores of each game (3 for 1st place, 2 for second place, 1 for third place, 0 for last place). 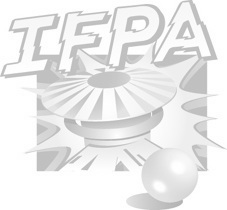 If there is a 3 person group, points will be 3 for 1st place, 1.5 for second place, and 0 for last place) First round match-ups are based on IFPA ranking, subsequent groups are determined by Swiss pairing. All games will be randomized from a predetermined bank. Top 12 players will move on to the finals. Tiebreakers: in the event that two or more players are tied on the qualifying bubble, such that not all of the tied players can advance to the final rounds, a tiebreaking procedure will be utilized. A single game will be played on a machine randomly selected from the qualifying bank. The tied players will play, in randomly determined order, in a multiplayer game on the selected machine, and will subsequently be ranked in the order of their scores on that game. If more players are tied than the selected machine will support in a single game, multiple games will be played (on that randomly selected machine) to accommodate all tied players, in randomly determined order, and the resulting scores will be compared as if they had occurred in a single game on the same machine. The same procedure outlined above will be used to break ties to determine seeding of qualified players. Finals will be head-to-head 3 strikes knockout tournament. First round will be based on traditional seeding from qualifying with subsequent round match-ups determined by Swiss pairing based on number of strikes. All games will be randomized from a predetermined bank. The loser of each head-to-head match will be given 1 strike. Once a player has 3 strikes, they are eliminated until there is one player left.